The scene repeats itself thousands of times daily: frazzled travelers, already weary from their journey and its attendant inconvenience, arrive at the airport. Moving through the thronging crowd, they trudge to baggage claim, retrieve their items and wait in line for a taxi or an impersonal curbside pickup. However, this doesn’t have to be your Miami International Airport arrival story. 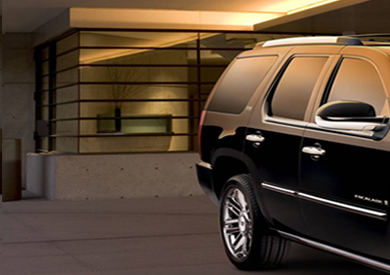 Our car service provides transportation to and from all Miami area ports of call. When you exit the MIA security gates, our agent will await you with your itinerary in hand. Instead of toting ponderous baggage, you can instead breeze to your Mercedes S-Class or Lincoln Town Car as your chauffeur handles every aspect of your voyage. This can be your story: call us today at 305-902-4417. With the advent of the Internet and other relevant technologies, there’s no excuse for a company that can’t keep track of your busy life. We make it simple, easy, convenient, and secure to confirm your itinerary. We keep track of airline information and will know as soon as you do if flights are delayed, cancelled, or even arriving early. We’re constantly monitoring status updates and can modify service at your request. Need to pick up another passenger? Need to make a stop at a cruise ship terminal or an Amtrak station? No bother — we’re dedicated to excellence, as evidenced by the finer details. Just as our cars are immaculate and sumptuous, with leather interiors inset with wood grain, our attention to your needs and plans is inexhaustible. No one wants to be in a hurry in Miami. No one wants to feel stressed, feel rushed, or feel stuck. Airport travel can be a gamble, too, with traffic woes and other difficulties that impede a smooth journey. This is where you can rely on our expertise; we make it our business to provide ease and simplicity. Your driver will always be available by phone or text. Need to take a detour? No worries: your driver will stand by while you take in the highlights or run a quick errand prior to your trip. Think of it this way — we’re on your time, ready to take you to where you need to be, but we’re confident you that our journey together might even become a highlight of your travels. There are countless ways to get from point A to point B, but what matters is how you feel during the venture. You hustle enough as-is — you deserve a reward for your efforts, an opportunity to sit back and let the palm trees streak by amid gorgeous views of the ocean. You deserve to let tropical sunlight illuminate the pastel glow of the city, the aquamarine coolness of modern windowpanes in the façades of resplendent towers. Once you arrive at MIA airport, let us take over. Behind tinted glass, behind sunglasses, from the rear seat of a luxury sedan, life is good. We’ll do more than transport you to the airport — we’ll help you arrive with your mind freed of troubles, ready to tackle any adventure, ready to see the gleam of the world’s treasures in vivid color.